BY SHEER coincidence I was in China doing sales calls while the Stop Adani protests were held in Airlie Beach and on a very fast (electric) train from Beijing to Shanghai. In this one train trip we passed 13 coal-fired power stations and electrical poles and wire infrastructure which quite literally has to be seen to be believed. Nothing can prepare you for the sheer raw size and power of modern China. Shanghai is by no means China's largest city, yet this one city, of 24 million, uses more (cheap) power than all of Australia combined. It is staggering. What I did learn is that China is making leaps and bounds in improving air quality and emissions and is doing so by using Australian coal. Coal which produces the least emissions per unit of energy of any coal in the world. Chinese brown coal, which they used to burn, produces more emissions per unit of energy by a factor of five and Mongolian coal, just to the north, by a factor of three. The stark difference in air quality compared with my last visit in 2011 is a clear indication the government is working hard and part of the strategy is to use the most efficient (not the cheapest) coal. China wants power, cheap, efficient power, and lots of it, but it also seems to have a "do the least harm” strategy. Shutting down our coal industry might seem like a good idea to some, but forcing China back to dirty coal is the unintended consequence. Maybe we can just lobby China to turn off the lights. 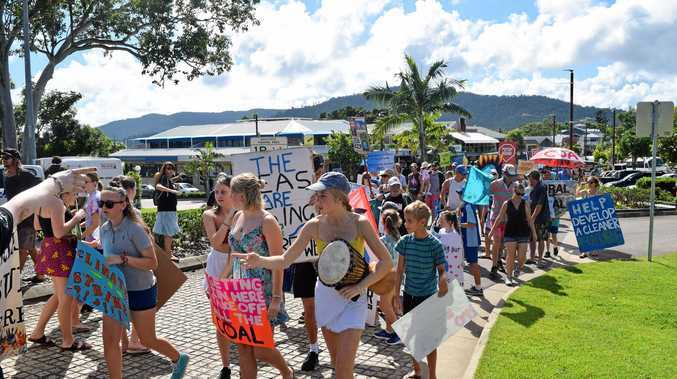 LAST week, thousands of students across Australia, including the Whitsundays, stepped out of school to participate in a worldwide strike for climate action. The students were very specific about their three demands: stop Adani, no new coal mines and transition to 100per cent renewable energy by 2030. Obviously our local council did not agree with the sentiments of the students. Councillor Mike Brunker referred to the students as "misguided” and said that "you could shut down every single coal mine in Australia tomorrow and not make one degree of difference in the world”. Not only are Mr Brunker's comments wrong, but he misses a very important point. The world must quickly move to a carbon-free future. The IPCC report from the UN gives us until 2030 to be carbon neutral or face an out-of-control climate. That means all countries must be carbon neutral. Fortunately, most countries have started programs to reduce their carbon emissions. We are a global laggard. In fact, our carbon emissions continue to rise primarily because of the attitudes of many of our politicians, from local council to state and federal. Such a selfish and defeatist attitude is robbing our young people of a climate-safe future. Australia is very prone to climate change impacts: heatwaves, bushfires, drought, coral bleaching, severe weather events and floods. With so much at stake, Australia should be a world leader in fighting climate change. Is it any wonder that the students are striking? FOR years I've been listening to the Canegrowers board tell us that we need to be apolitical if we cane farmers are to have any chance of advancing decent policy that is in the best interest of our industry. However, it is becoming harder and harder to accept this argument. Despite the considerable lengths farmers undertake to be environmentally friendly, the Queensland Labor Government is still making it harder and harder to farm. We are strangled with green tape and bureaucracy to the point where some are threatening to leave this $2billion Queensland industry. I think it is time the Canegrowers board and other farming boards change their point of view and try a fresh approach to stand up for their farmers and our sugar industry. People who live in regions dependent on sugar and are staunch Labor voters need to realise that while they might think voting Labor will protect their jobs and wages, this same political party is focussed on creating laws that will reduce sugar industry profitability. The Palaszczuk Government is more interested in gathering votes in Brisbane than protecting North Queensland sugar jobs. Premier Palaszczuk and Treasurer Trad no longer try to win the votes of working men and women in regional Queensland - they only seem to care about the votes of Brisbane greenies. We have to respond to this. We cannot remain apolitical any longer. NICE to see at student strike the adults taking a day off work outnumbered the kids nearly 2-1 (54-28). Maybe the kids had more sense, cared more about jobs, or just couldn't get out of bed in time for the 9am lagoon start. Interesting to see most of the placards were handed out by the adult organisers. To the students there under their own steam, good on you for taking an interest. Now do some of your own research instead of following the lemmings. To the activists shamefully exploiting the smaller kids, what next, kids at your train protest? PS: Alison Mason, letter 14/3, Australia does not export brown coal, and Adani will be shipping high-quality black coal to India, at no more risk to the reef than any other shipping, but of enormous benefit to India's poor. We are all entitled to our own opinion, but not to our own facts. TO STAND up for your beliefs in a peaceful way. This is a very important part of education and one that is sadly not evident in many of our politicians' actions. I am sure that Scomo, Big Bill, and Annastacia would have benefited from this when they were at school. These people seem to wait until the public make up their minds on an issue. Only when they see there are votes in it will they act. Our so-called leaders are really followers. They are unwilling to stand up for their beliefs. Congratulations to those students who did make a stand for what they believe in last Friday, especially the representatives of the high school. Our pollies can learn from you. It is not too late. 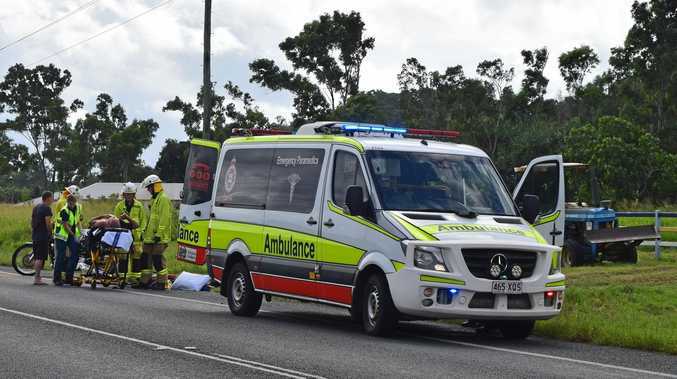 WHILE we have recently read comments from one group within our community that want to attack the sugarcane-growing families of our region, it is well worth noting the Smartcane Best Management Practice Project Coordinating Committee, Smartcane BMP, made up of representatives from Canegrowers, the Queensland Department of Environment and Science, and the Queensland Department of Agriculture and Fisheries, at their last meeting to discuss progress in Smartcane BMP delivery, reviewed data on practice influence from the new reporting format adopted by the Smartcane BMP team and were impressed by the amount of work being done and the positive outcomes. The sugar industry has 70per cent of its land mass included in the Smartcane BMP program, and climbing. 3. Maximising retention of all inputs into plant growth and health on farm. Hence for the stone throwers who choose to attack our cane-growing families, it is better to be focused on collectively working towards the positives, in that we are able to live, work in and grow our region together when we collaborate, rather than using selective misinformation to tear one group down to support the political agenda of some. RE: The Global School Strike for Climate. Young people have the right to stand up for their lives. The adults in power are trashing their world by refusing to take proper action against lethal climate change. We could learn a thing or two from these smart kids. Good idea to save ourselves from extinction, I think! I hope everyone will listen up and take action to do the right thing by our kids. Love to all the smart, caring youth who are organised and took part in this.